Wellness International Network v. Sharif: A Return to a Formalist Reading of Article III? The constitutionality of bankruptcy courts is a recurring and thorny issue implicating the limits of Congress’s power to delegate the judicial power of the United States. 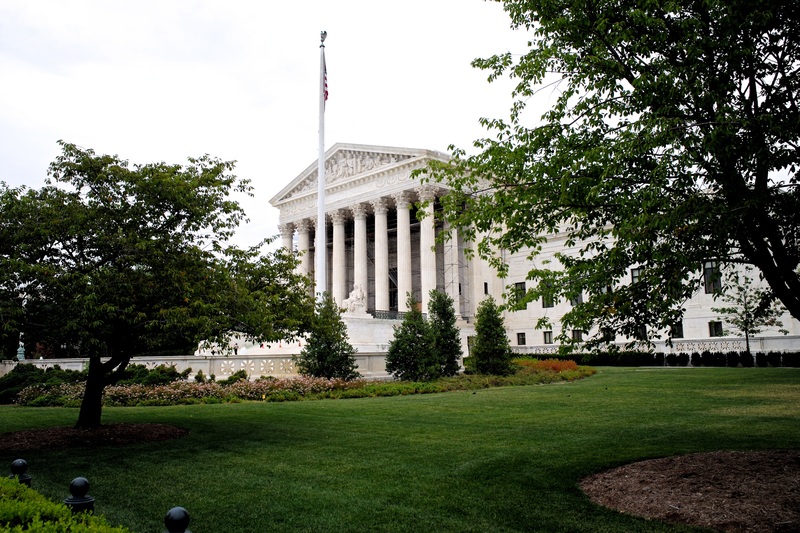 This Term, the Supreme Court will write the next chapter in the bankruptcy court saga when it hears Wellness International Network v. Sharif, cert. granted, 134 S. Ct. 2901 (2014). Sharif challenges the premise, established in Commodities Futures Trading Commission v. Schor, 478 U.S. 833 (1986), that litigant consent can furnish an Article I court’s constitutional authority to issue final judgments in private rights disputes. An Article I court (a.k.a. “legislative court”) is an adjudicatory body statutorily created to implement one of Congress’s enumerated powers, and staffed by officials without life tenure, in good behavior, and protected against salary diminishment. Schor, including its limits on bankruptcy court jurisdiction, is a functionalist anomaly in the Court’s otherwise formalist Article III jurisprudence,. After a survey of the Court’s bankruptcy court line of cases, this post argues the Constitution demands a formalist reading of Article III prohibiting Article I courts from deciding issues of private rights, regardless of litigant consent. The Bankruptcy Act of 1978 (“Act”), established a nationwide system of specialized courts to handle the flood of claims inherent in a declaration of bankruptcy. These bankruptcy courts were staffed by officials (“bankruptcy judges”) presidentially appointed to fourteen-year terms. They were empowered to decide not only statutorily-defined bankruptcy claims, but also claims by and against the bankruptcy estate that arose in the process. Thus, a bankruptcy court’s jurisdiction included common law contract and tort claims related to the bankruptcy. The bankruptcy courts could also issue stay orders binding on Article III courts exercising concurrent jurisdiction over such claims. In Northern Pipeline Construction Company v. Marathon Pipe Line Co., 458 U.S. 50 (1982), a plurality of the Court struck the Act as an unconstitutional delegation of federal judicial power for two reasons. First, the Act unconstitutionally granted the non-Article III bankruptcy courts power to issue final judgments in claims involving private rights (those centered on common-law rights). This holding relied in part on Crowell v. Benson, 285 U.S. 22 (1932). Crowell held Congress could implement legislation by establishing Article I courts to preliminarily decide certain fact-based issues prior to litigation in the Article III court that would finally decide the case. Crowell established Article I courts are properly conceived as adjuncts to Article III courts. Contrarily, in Northern Pipeline, Congress empowered bankruptcy courts to issue final judgments subject only to the judicial review from an appellate court. Article I courts were only allowed to decide issues of public rights. Public rights disputes are those 1.) to which the federal government is a necessary party or involve the waiver of the federal government’s sovereign immunity, and 2.) which center on rights created by federal statute or regulation. Thus, Congress violated Article III by granting Article I bankruptcy courts power to finally decide private rights disputes. Second, the Act unconstitutionally granted non-Article III judges power over “essential attributes” of Article III judicial power. By granting bankruptcy courts power to issue final judgments with res judicata effect on Article III courts and the power to stay proceedings in Article III courts, Congress had made the bankruptcy courts too powerful to be justified as adjuncts. Bankruptcy courts were too similar to Article III courts and unconstitutionally threatened the independence, impartiality, and separate power of the Article III judiciary. Following Northern Pipeline, Congress tried again by amending the Bankruptcy Act in 1984 to cure the 1978 Act’s constitutional defects. It 1.) limited bankruptcy courts’ subject-matter jurisdiction and the power of its judgments, and by 2.) linked the bankruptcy courts to district courts in a more emphatically adjunct-like fashion. However, they remained non-Article III courts as bankruptcy judges continued to lack life tenure in good behavior and protection against salary diminishment. In Stern v. Marshall, 131 S. Ct. 2594 (2011), the Court held 5–4 that bankruptcy courts lacked constitutional authority to issue final judgments on state law counter-claims pending in Article III courts. Because bankruptcy judges, for whatever reason, remained non-Article III judges under the amended Act, they remained unable to issue judgments on private rights issues with res judicata preclusive effect on Article III courts. Until Schor, the Court had hewed a formalist line on the jurisdiction of non-Article III adjudicatory bodies stretching back to Murray’s Lessee v. Hoboken Land & Improvement Co., 59 U.S. 272 (1855). There, the Court first held that the separation of powers prohibited Congress from granting legislative courts jurisdiction over private rights claims. However, the Schor Court broke this precedent by prescribing a functionalist test for determining the constitutionality of non-Article III power. After Schor, a court assessing whether Congress had properly granted Article I courts jurisdiction over private rights considers: 1.) whether Congress thereby impinges on essential attributes of judicial power, 2.) the nature of the rights subject to the delegated jurisdiction, and 3.) Congress’s motivation for doing so. This test prescribes a normatively-guided inquiry so formless that it amounts to a pro forma, pre-rubber stamp judicial “feelings check” guided by no binding precedent whatsoever. Post-Schor, kangaroo courts may rise and fall with the level of ephemeral inter-branch harmony. Thus, Schor is the first step down the slippery slope away from an independent, impartial judiciary. This Term, the Court granted cert in Wellness International Network v. Sharif. The Court will decide “whether Article III permits the exercise of the judicial power of the United States by the bankruptcy courts on the basis of litigant consent.” Thus, Schor is up for review. The Court in Wellness International should eliminate the Schor litigant-consent aberration from its otherwise formalist Article III jurisprudence. As he did in Marshall, Chief Justice Roberts should lead a charge against Article III functionalism, which the Court has rightfully opposed throughout American history. If Congress is allowed to continue impinging on Article III courts’ essential functions, the surging passions that course through that fickle Body will — through a series of irrational Acts — subjugate entire categories of rights and to tribunals staffed by like-minded pawns. The absurdity behind this discussion is that Congress could cure bankruptcy courts’ constitutional defects simply by making them Article III courts. However, Congress continues obstinately to delegate jurisdiction over private rights to officials susceptible to coercion through threats of firing or pay diminishment by the political branches. The Court should maintain the judiciary’s independence and impartiality by holding categorically that only Article III judges may adjudicate private rights disputes.